Taking on a large home improvement project, such as getting new siding, can be very exciting— but you’ll want to choose from the best siding contractors in Austin to do the work for you. Choosing the right professional can make all the difference in how quickly the project goes, the quality of work that is done, and your overall experience with the project. When you search for a contractor in your area, it can help to look for certain credentials. When you find a contractor with these qualities, you’ll know that you’ve found one you can trust your home with. Experience: The contractor you choose should have at least 10 or 15 years of experience working with the type of project that you will be hiring them. Even the best-educated contractor will not have the same ability to handle hiccups in the project and will not know the tips and tricks that an experienced contractor knows. Good reviews: A great contractor comes highly recommended. When people have a good experience with a contractor, they will be happy to leave a rave review online. The contractor will also encourage their customers to leave an honest review when they are done with the project. Most great contractors will have testimonials from customers on their websites, or you may be able to find reviews on other websites as well. Reading reviews or testimonials (both good and bad) will tell you what you can expect from a contractor. 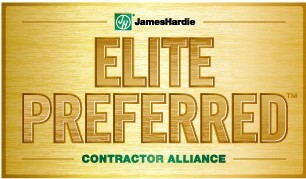 Business accreditation: You can always feel better trusting a contractor who has been accredited. For example, the Better Business Bureau (BBB) will accredit contractors that meet certain standards of excellence in their business. Other bureaus may provide accreditation as well. This alone will not tell you that you should choose a contractor, but it can tell you more about their level of trust. Free estimates: A great contractor should never charge you for an initial consultation or an estimate for a project. A contractor should be willing to answer all of your questions before you even hire them. They will come by, take a look at your home, and tell you how much the project would cost and what you could expect for a timeline. If a contractor tries to charge you for these things, it should be a cause for concern. When you find a siding contractor with great credentials and who seems like someone you can trust and work with, you can feel comfortable about hiring them for your project. At this point, if you have not already decided what type of siding you want for your home, you should ask the contractor for advice. 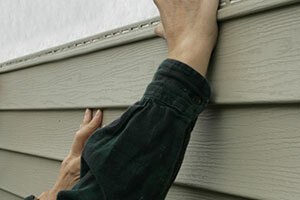 Discuss your budget and what your expectations for siding are. Based on this information and your local climate, your contractor should be able to give you advice for what your best option is. Since they know much more than you do about siding, picking their brain is a smart thing to do.